General Motors: Who is going to make the first autonomous car? GM cars are not that visible in this old continent, called Europe. Our European readers will understand what I mean. Apart from US and China, you do not see a Chevy or a red emblem GM on the road everyday. GM used to own Opel/Vauxhall but it sold its only European car brand to Peugeot-Citroen Group (PSA) last year. Let me provide you some interesting figures: GM delivered 276.000 vehicles in Europe last year. 269.000 of them were Opel or Vauxhall. So, we can expect an optimistic 10.000 as a total sales figure in Europe for GM. Now, the reason for including these facts and figures is this: Although GM is mainly successful only in North America and China, it is one of the biggest car manufacturers in the world and has an enormous cash flow. To sustain their cash flow, GM shows no tolerance to be outdated by other car manufacturers and Big Tech firms and it pioneers technological advances, like connected cars and Internet of Things. It is not an easy job to satisfy the customers in North America and China market, and GM is apparently doing good. It does not want to miss any new trend and keen on investing money on state-of-the-art technologies as their customers are absolutely demanding new features. You see the reasoning. GM would not miss the chance to be in the autonomous spotlight. In 2016, GM acquired Cruise Automation for over $1 billion to accelerate their autonomous driving research and invested $500 million in Uber-rival ride-hailing company Lyft to make use of its self-driving car platforms in on-demand transportation market. In September 2017, Kyle Vogt, the CEO of Cruise Automation announced that they are ready to mass produce self-driving, all-electric Chevrolet Bolts. When the software gets ready… Do not let the tricky ending of his statements to mislead you, this is a massive step in self-driving technology and it gives the indication of how close they are to make it to the market first. GM-Cruise alliance is planning to produce Level 4 self-driving cars in 2019. Exciting isn’t it? Previous Previous post: Ford: Who is going to make the first autonomous car? 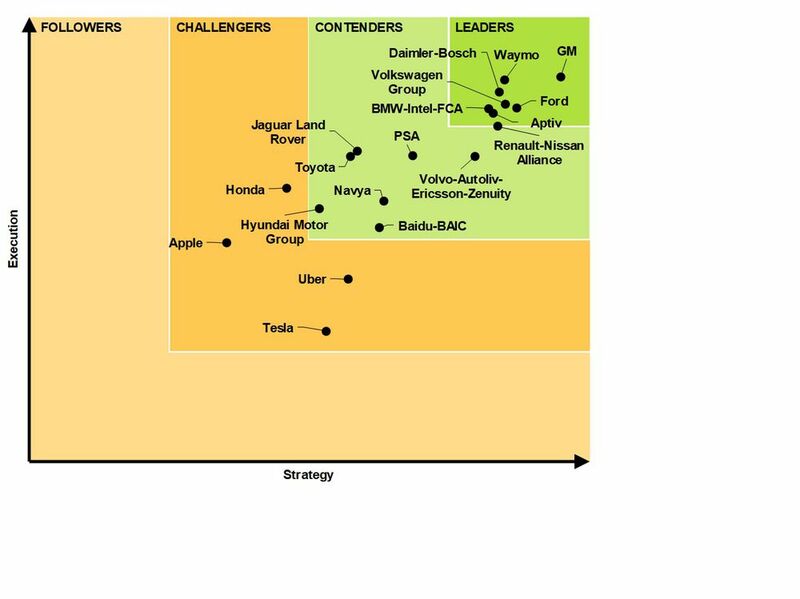 Next Next post: Mercedes-Benz: Who is going to make the first autonomous car?